Marvel at the many types of honey on display (with tasters to help you vote for the best), as well as enjoying honey cake and tea in the cafe, see an Asian Hornet and pick up early presents for Christmas. 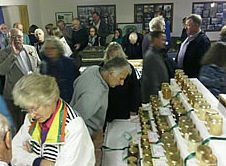 The annual Honey Show returns this Saturday (3rd November) and this year’s event is a very special one as the Isle of Wight Beekeepers’ Association celebrate 100 years since their formation. 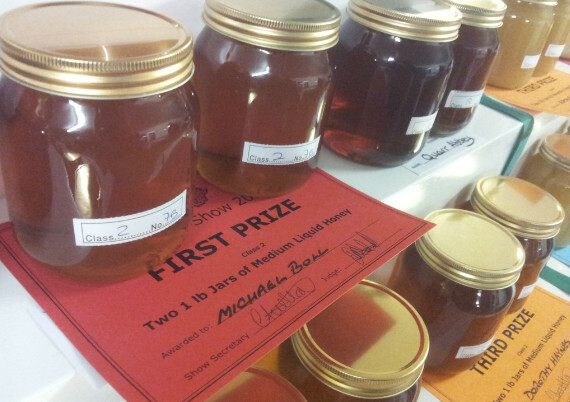 As usual, there’s free entry to the show, where you can taste a wide variety of honeys and vote for your favourite. This year the Association will also have an Asian Hornet on display. Don’t worry, it’s not live, but set in resin. The Asian Hornet been loaned to the Association by a mainland Association, and should be able to help you identify whether you see any Asian Hornets on the Isle of Wight, following the warning from experts to look out from them. The Honey Show sports 11 categories in the honey class, from different types of honey, to cut honeycomb. There’ll be entries in the beeswax classes to admire, along with mead, photographic and cooking classes, as well as children’s and miscellaneous which include handicrafts and decorative candles. As usual there’ll be plenty of Isle of Wight honey for sale as well as delicious honey-related cakes and biscuits. The Honey Show takes place at Isle of Wight Community Club, Park Road, Cowes PO31 7NP between 2pm-4.45pm on Saturday 3rd November. Lots of free parking. For further information please see the IWBKA Website.